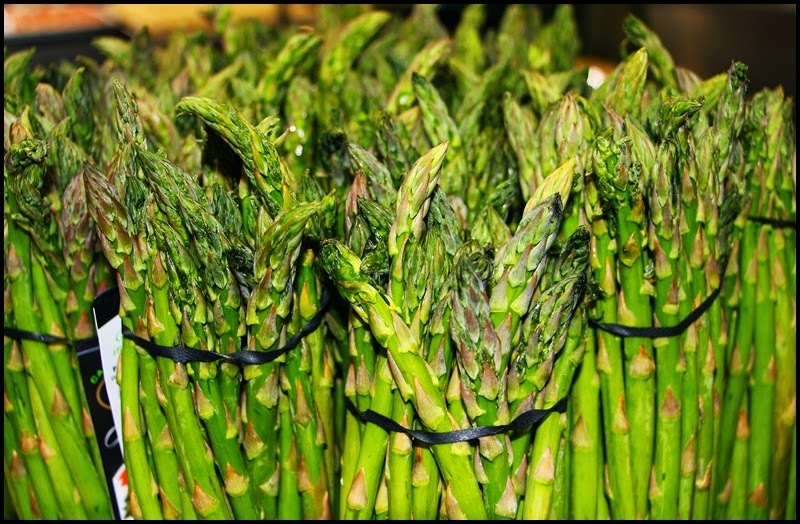 Urban Simplicity: Whole Wheat Spaghetti with Asparagus Aglio e Olio! 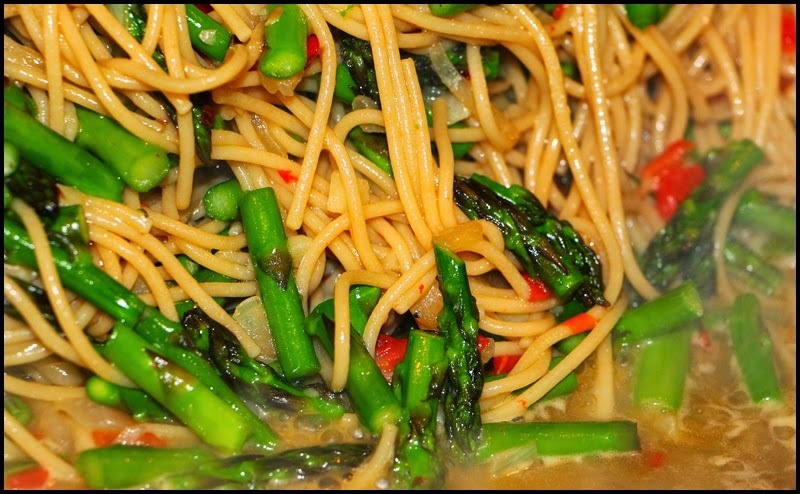 Whole Wheat Spaghetti with Asparagus Aglio e Olio! So this is yet another rendition of cooking vegetables (and usually pasta) aglio e olio, or with garlic and oil (and hot pepper and chicken broth). The recipe below contains broccoli but today I made it with asparagus ('tis the season). Substitute whatever vegetable(s) that you like or have at hand. This recipe is so delicious and so easy to make. And to make it completely vegetarian simply replace the chicken broth with vegetable broth. For other variations on this recipe, click here.